Central Information Commission directed the Ministry of Environment & Forests to take corrective steps to trace all the files pertaining to Polavaram National Project under construction in Andhra Pradesh. 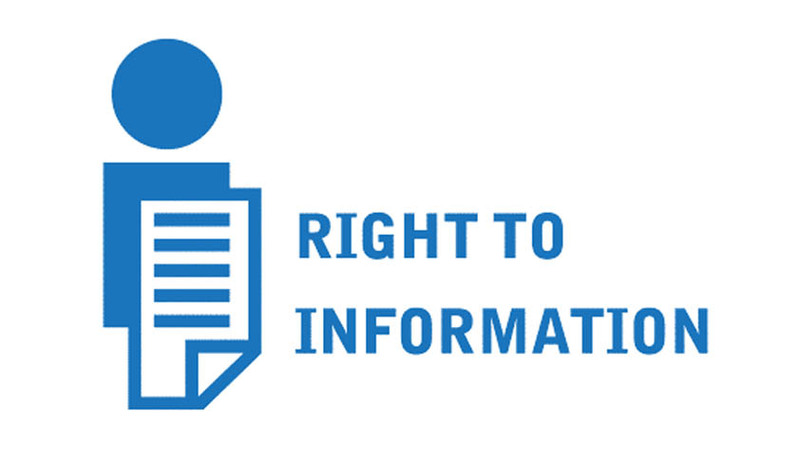 Commissioner Prof M Sridhar Acharyulu, in an order on 25th August 2015 warned that losing of records will violate both statutes - Public Records Act and Right to Information Act. Mr D Suresh Kumar filed second appeal as the PIO of Ministry claimed that files recording correspondence about ‘stop work’ orders of Polavaram were not traceable. The appellant complained that in 5 out of 7 RTI Applications, the respondent ministry officers claimed that the records were not traceable. The respondent Public Information Officer submitted that due to lack of staff, he is unable to trace the files. However, he assured that information will be furnished to the applicant in 3 weeks time. He has also provided the Commission with whatever latest information that he could trace in relation to Stop Order of the Polavaram Project. The officers sought some more time to trace the records in this case. The Commission notices that the Ministry has higher responsibility to maintain the file records of ISPP because it was declared as National Project. Polavaram being a controversial national project with an impact in Andhra Pradesh, newly added villages from Telangana, Odisha and Chattisgarh, causing submergence of hundreds of tribal villages, assumes huge importance. Though Environmental Clearance (EC) was given in 2005; that has been set aside by the National Environmental Appellate Tribunal NEAA in 2007. However AP High Court has brought back the EC into existence setting aside the judgment of NEAA. Based on later developments and substantial changes in the project, the EC was revisited by the Environmental Appraisal Committee EAC in 2009. Ministry has issued the STOP WORK order in 2011. The work is going on in the project on the strength of order of abeyance of the Stop Work order since 2013 being issued for every six months. Mr Biswanth Sinha Joint Secretary in an Office Memorandum dated 23.6.2015 attached to the above letter of Environment Minister asked the Government of AP shall ensure that the public meetings are conducted in the states of Chattisgarh and Odisha during the first 3-6 months of this period of one year and submit outcome of the public hearing to MOEF & CC. This order is subject to any Court order in the matter. In this Office Memorandum the Ministry reminded earlier assurance of the Government of AP not to impound the reservoir of the project till the issue raised by the states of Chattisgarh and Odisha are resolved, and said: “this ministry reiterated this and asked Andhra Pradesh Government not to impound the reservoir without specific permission from this Ministry. It is also noted that the completion of the works of dam and associated remaining works would take about ¾ years time. The Government of AP has assured that it would bring about changes in design and operating parameters of the project in case so warranted as a result of public hearings in Chhatisgarh and Odisha and such changes would be carried out in consultation with the CWC and the consent of all the states; as stipulated vide agreement dated 2.4.1980 would be obtained. In that case change in design or/and operating parameters may be required to ensure that area falling in the state of Chhatisgarh and Odisha does not come under submergence due to the impounding of the project reservoir. MoEF &CC has issued directions under Section 5 of EP Act 1986 vide letter of even number/dated 11.3.2013 asking the Andhra Pradesh Government not to impound reservoir of the project without specific permission of this Ministry. This direction is and shall remain in force unless stated otherwise. Andhra Pradesh Government informed that an expenditure of about Rs. 5377 crores has been incurred in the project till 30.6.2015. The Commission directed the public authority to provide necessary support to PIO so that he could take enough efforts to provide the requisite information within 3 weeks from the date of hearing as assured by the representing officers. The Commission directs the PIO to place that information and all correspondence among the AP, Chhatisgarh, Odisha and MoEF & CC regarding public hearing and other aspects of ISPP along with the copies of documents given today, in the official website of the MoEF. In another second appeal by D Suresh Kumar, the Commission directed the MoEF to upload the Polavaram Project’s records, especially the number and names of the villages that face submergence due to this project on its website within one month from the date of hearing. Making all records available is very important requirement because the AP Government has to conduct Public Hearings in both Odisha and Chhatisgarh states on the changed dimensions and designs of the Indira Sagar Polavaram Project (ISPP). Public Information Officer Mr. P.V. Subba Rao submitted that all the efforts from Ministry are on to place Polavaram Records on MoEF’s website as soon as possible. He told Commission that on his request AP government has provided information in softcopy. But, they could not upload as that file size was too big which would be uploaded in three weeks.